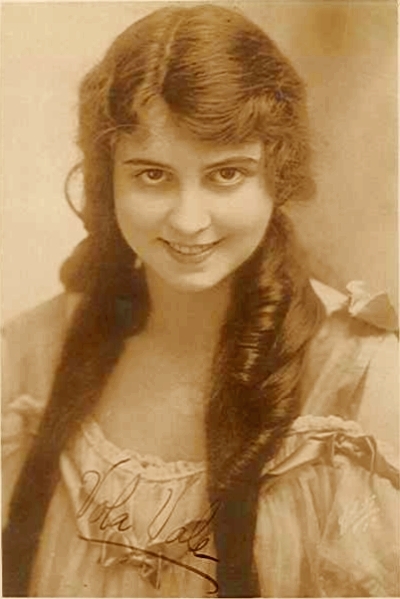 Vola Vale was leading lady to William S. Hart in "The Silent Man" (1917), "Wolves of the Rail" (1918) and "White Oak" (1921). She also appeared opposite Harry Carey in "Overland Red" (1920), "Good Men and True" (1922) and "Crashin' Thru" (1923). Born Feb. 12, 1897, in Rochester, NY; died Oct. 17, 1970, in Hawthorne, Calif. Sometimes credited as Vola Smith, she appeared in about 60 films from 1916 to 1927 but didn't make the transition to the talkies.